Edith Iris Pence, 93, of Grottoes, passed away, Wednesday, March 20, 2019 at her residence. She was born on March 5, 1926 in Bedford County, Virginia, to Boyd C. and Edith Earle (Day) Deaner. After graduation from Randolph Henry School in 1944, Edith moved, with her family, to Grottoes where she met Harold W. Pence. They were married on November 8, 1948 and he preceded her in death in 1988. She was employed with Rockingham County Schools for 23 years. She is survived by three children, Deborah Keenan, widow of John, of Elkton, Carroll W. Pence and wife, Carol Jane, of Grottoes, and Sandra P. Lucas and husband Dewayne, of Weyers Cave; a brother, Cal Deaner and wife, Elaine, of Matthew, NC. Also surviving are four grandchildren, and seven great-grandchildren. A memorial service will be held at 2:00 PM, Monday March 25, 2019, at the Johnson Funeral Service Chapel, in Grottoes, with Rev. Jim Harris and Pastor Brian Posey officiating. The family will receive friends following the service or at Edith's home at any time. 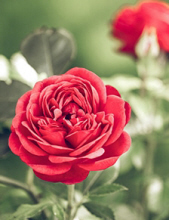 In lieu of flowers, memorial contributions may be made to the Grottoes United Methodist Church, 300 4th Street, Grottoes, VA 24441 and/or Grottoes Rescue Squad, PO Box 1187, Grottoes, VA 24441. To send flowers or a remembrance gift to the family of Edith Iris Pence, please visit our Tribute Store. Rev. Jim Harris and Pastor Brian Posey officiating. The family will receive friends following the service. "Email Address" would like to share the life celebration of Edith Iris Pence. Click on the "link" to go to share a favorite memory or leave a condolence message for the family.